You know the story by now…undersized power forward drafted 35th overall by the Golden State Warriors. This gritty guy with no true strengths aside from his competitive spirit finds himself playing big minutes in the injury-absence of a former All-Star. Those sparse minutes turn into starter minutes and that turns into an NBA All-Defense nod and the reputation as one of the most versatile defenders in the league. Draymond Green’s value skyrocketed in a matter of months, and he earned himself a hefty six-figure contract like I expected he would. 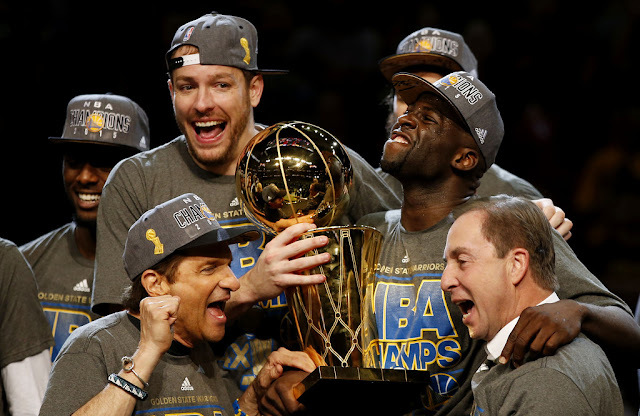 The timing, situation, and chemistry worked well under Steve Kerr’s watch and David Lee’s encouragement. 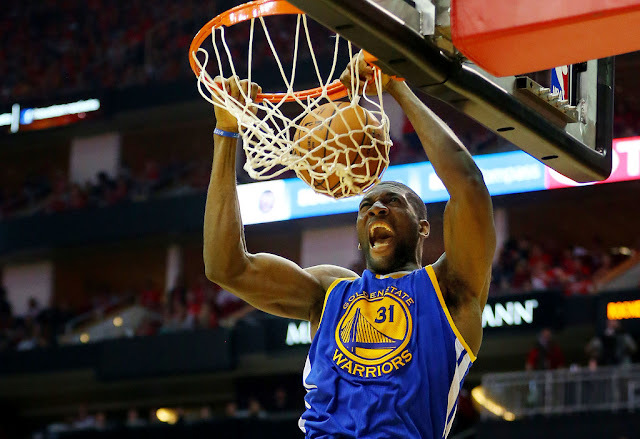 Festus Ezeli is poised to make a similar leap himself. The inevitable jump in the salary cap will wreak havoc on player salaries, but with four six-figure players on the roster and Harrison Barnes likely to join that crew, there may not be enough money to go around the Warriors roster and still be able to remain under the salary cap. Joe Lacob and the management team have proven to embrace paying their championship-level talent, but they did dump the David Lee contract this off-season. Can Lee produce? Absolutely. But is he relevant in the Warriors’ system? Not really. Striking comparisons can be made to Andrew Bogut. I am on record as a staunch advocate for Bogues’ value (see the above-linked Draymond article where I ranked him the Warriors’ second most important player in November 2014). The Australian big man was a top-tier rim protector and elite passer at the center position. To underestimate his impact on the Warriors’ championship run would be a mistake. Within two high-pressure playoff series, though, Festus Ezeli made his presence known. He had a meaningful impact on both the Western Conference Finals and the NBA Finals off the bench. Although (like Bogut), Ezeli’s numbers were hardly eye-popping, he did post three double-digit scoring games and solid rebounding numbers when given minutes. He also (usually) limited the fouls that he doled out. Bogut, by contrast, scored 10 points in the entire NBA Finals. This isn’t to suggest that the Warriors high-powered offense requires much scoring from the center position. However, it was nice to see signs of a serviceable baby hook that Festus developed. It was eerily reminiscent of Draymond Green shooting threes his first year or so in the league. A lot of “no, no, no…YES!” exclamations and stress turned into relief. The supply of good centers is small and the demand is high which could mean Festus commands a salary larger than what one might consider his true value. However, he, along with Harrison Barnes, are restricted free agents in 2016 which plays in the Warriors favor. If Bogut’s offers creep up toward $20 million a year, the Warriors may be wise in pursuing Festus as their main traditional center. The Warriors would lose great passing if they lost Bogut, but Festus’ mobility, potential, and tenacity could prove to be a great replacement. The ultra-small ball with Draymond at the five worked wonders in the Finals and there was a reason that some guy named Nick U’Ren made a name for himself on the NBA’s grandest stage.